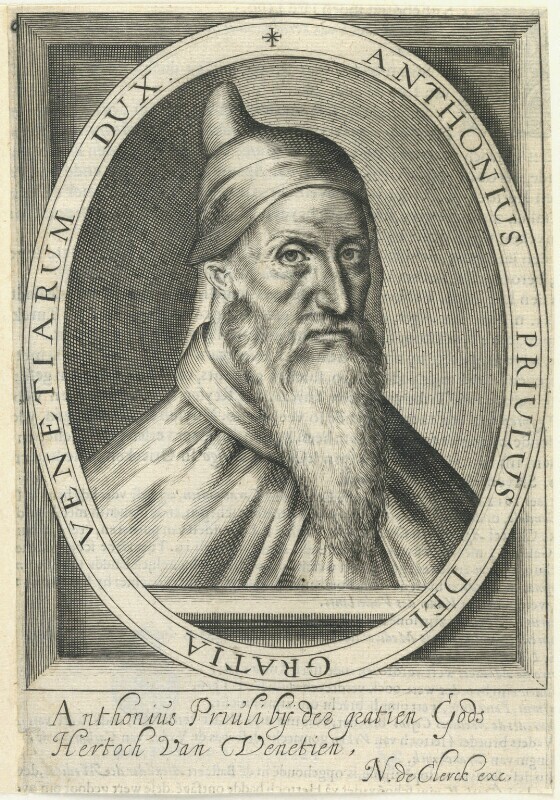 Antonio Priuli (1548-1623), Doge of Venice, 1618-1623. Sitter in 1 portrait. Nicolas de Clerck (active 1614-1625). Artist associated with 7 portraits. Francis Bacon, Viscount St Alban, is appointed Lord High Chancellor. He would be impeached for bribery three years later ending his political career. Lord High Treasurer Thomas Howard, Earl of Suffolk, and his wife, Katherine, are charged with embezzlement and found guilty the following year. Jurist, politician and scholar, John Selden, publishes his History of Tythes, in which he concedes the legal right of the Church of England to collect tithes, but denies divine authority. The Royal College of Physicians compiles the London Pharmacopoeia, a standard list of medicines and their ingredients. Sir Walter Ralegh's voyage to Guiana tragically fails. Unable to find treasure, his attack against the Spanish settlement San Thomé, during which his son Walter dies, dangerously jeopardises Anglo-Spanish relations. Ralegh returns home and is executed for treason. Start of the Thirty Years War, precipitated by the Bohemian Revolt.